Food allergies and sensitivities are increasing dramatically in our society. I’m not aware of any family that does not have a child who goes to school with another child who has a, sometimes life threatening, food sensitivity. Peanut and tree nut allergies appear to be among the worst and the incidence is growing. In her book The Peanut Allergy Epidemic: What’s Causing It and How To Stop It author Heather Fraser looks at the growing challenge of this issue and why it seems to be so strongly tied to our Western culture. This is a guest post by my Aunt Haya who recently shared a very sweet story about food, connections and memories. I love food stories. I like hearing where food came from, how it’s changed, and the associations we make with our food; those moments that join us together. I agree with my Aunt that in this over stimulated fast paced world it’s nice to have these kinds of connections to make us stop a moment and reflect on the various ways that our food comes into our lives. I also love how so many recipes, when shared, keep the name of the person who gifted them to us. This evening my congregation will be hosting a group of 32 members of a congregation in Maryland who are on a 10 day tour of Israel with their Rabbi. After many guided tours to historical sites they are looking forward to sitting and talking with folks who live here. I have been asked to contribute my three bean salad to the meal. I am always glad to make and share it. While assembling the ingredients I stopped to think about it’s entry into our lives. Nowadays, three bean salad is well known all over the US and multiple variations are on the web. But while living in Houston (in the late 1960s), my husband and I made sure that each of us would have some private time each week, with each of our children. On one such outing I went with our son Daniel to attend an outdoor performance of an abridged version of some Gilbert and Sullivan operetta out on a lawn of The University of Houston. I think that it was the Pirates of Penzance, but am not sure. I did not recognize anyone sitting near us in the audience but Daniel soon picked up a conversation with a boy near his age. I introduced myself to his mother and learned that they were in Houston for the summer while her husband, a school teacher, took summer classes at U of H, in order to eventually qualify to become a school principal in their home town somewhere I think in Arkansas or Alabama. He was often busy attending those summer program classes or working in the university library on his homework, so she and their son were exploring Houston on their own. I invited them to join our family picnic the next week in Herman Park on the 4th of July–speeches, fire works and all. They were glad to accept and she brought three bean salad that she’d made. We’d never tasted one before. We all enjoyed it so I asked for her recipe. She wrote out on a piece of paper which I copied on to a file card after I returned home. I added her name Eula Ross. We got together only once or twice more during that summer, but three bean salad became a staple in our family’s favorite summer recipes; particularly as a contribution to buffets and picnics. Here in Israel the recipe has changed somewhat. I add diced fresh rosemary needles (that I pick fresh from the shrubs) to the chopped parsley in the original recipe and often use chickpeas for the third bean. Today I found that I needed to purchase more chickpeas so used red beans as I have no red onion and wanted to add color other than the chopped sweet red pepper to the salad. I use less sugar in the dressing that Eula Ross recommended and the minimum quantity of oil. But each time I prepare this dish, whether or not I check the details on the old file card or fly free with improvisations, I think a special thanks to Eula Ross where ever she is now. I am sharing this story with you because in this day and age of instant communication, information from people whom one never meets, an entire rainbow of recipes for any dish for which one could possible conceive of hankering, this older, slower, deeper time of meeting a stranger who became an acquaintance and shared her recipe and it’s evolution to fit my current location and dietary preferences, pleases me a great deal. Whisk the five dressing ingredients together and pour over the vegetables. Mix together cover and chill in fridge. I have a confession to make. I’ve always been a little afraid of pressure cookers. When I was growing up my mother didn’t use one. By the time I was exposed to them as a young adult the concept seemed a little scary. Fast forward many years….my friend Emily at The Kindred Kitchen recently had me over for dinner. She made an amazing dinner in her pressure cooker. She was so confident, so calm, and it was all so delicious! I was hooked and got my own. When I talked to my mother about it she told me that her mother, my Grandma Katzy, had used a pressure cooker when she was growing up. I asked my mother why she never used one. She replied by sharing a story about my Nana, my father’s mother, involving a pressure cooker. Apparently in the middle of cooking dinner with the pressure cooker something went wrong and the lid blew off. There was so much force involved that the lid embedded itself in the ceiling of Nana’s apartment. One can only imagine the horror and disbelief … and what the kitchen must have looked like. Mom wasn’t exactly sure how Nana managed to get the lid out of the ceiling. That was the end of pressure cooking as far as Nana was concerned. Needless to say it was enough to convince my mother that she did not want to use a pressure cooker. Ever. Not having grown up around one neither did I. Until now. I’ve been experimenting with it and have discovered that I absolutely love it; it is rapidly becoming one of my favorite kitchen appliances. Meats and vegetables are delicious, colorful, flavorful, and oh so tender. The real prize-winning use however is for rice and beans, of all different flavor profiles. It is so quick, so easy, and it comes out just right. I absolutely love my pressure cooker and owe Emily a debt of gratitude for helping me to change my mind. This recipe is based on one that she shared with me. Note: This was very tasty but needed a little something more. I think next time I will add some diced tomatoes and perhaps a little more spice. I’ll keep you posted. Over on my Facebook Fan Page I posted a Meatless Monday menu of black bean casserole, roasted asparagus, spring onions, cauliflower and cauliflower greens. It was a delicious dinner. I received a request for the recipe and decided to post it over here at the blog. I love oven roasting veggies, it’s such a simple way to put them together and really makes fabulous leftovers. And black beans are a great flexitarian choice; they’re tasty, easy to prepare, and go well with so many different types of dishes. Adding beans to your diet, if you don’t already eat them, is such a healthy thing to do because not only are you getting protein, you’re getting lots of fiber. One cup of black beans provides 15 g. of fiber and 15 g. of protein. A pretty good deal in my book. Even better you’re also getting a lot of B vitamins, primarily thiamin and folate, plus iron, copper, magnesium, phosphorus, potassium, and manganese. This black bean casserole is one of my favorites because with the addition of the corn tortillas it makes a complete protein. The original recipe that I developed calls for a generous sprinkling of shredded cheese on top however due to my new dietary restrictions I am avoiding cheese. I’ve discovered that the rice cheeses and other “fake” cheeses are just too unpleasant for my palate, both in taste and texture so I’ve been feeding what I bought to the dogs (who are thrilled) and just leave out the cheese altogether. But if you’re a cheese fan and can eat it, use about 3/4 C.
Being where we are in the growing season at the moment with tomatoes so very expensive (and my garden burned to a crisp due to drought) I’ve turned to my favorite Pomi Chopped Tomatoes which come in a box rather than a can so there is no BPA. When tomatoes are in season and not hideously expensive I definitely prefer them and use about four in this recipe. Outside in the garden today I noticed that my peas are blooming. I love their pretty white little flowers and, of course, love the delicious peas soon to be eaten. Peas have a lot going for them. While they are definitely in the starchy vegetable category they are also very high in a lot of wonderful nutrients that help our bodies in many different ways. 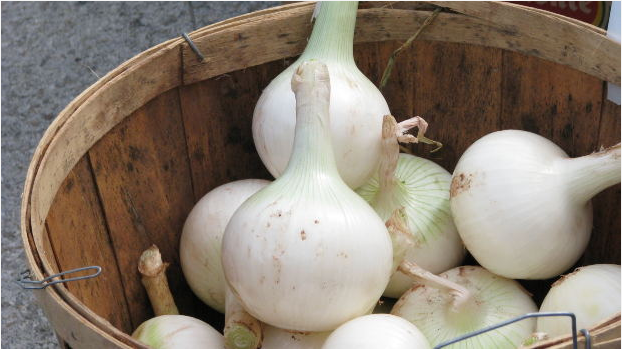 High in phytonutrients they are a good choice as an antioxidant and anti-inflammatory vegetable. And although they are sweet, peas are actually considered to be a low glycemic index food (anything below 55 GI is considered low, peas come in around 48) probably due in part to their level of fiber and protein. Peas are also high in vitamin K, manganese and vitamin C.
They go into a wide variety of dishes and can be eaten raw when young or in any variety of cooked methods when they are more mature. One family favorite way to eat them is in a dish I call Peas-y Peas and Celery. When I was a kid I used to love it when my mom would make a dish of new potatoes and peas. It tasted like spring to me, fresh, bright and delicious. Of course peas also great thrown into a huge Chef’s Salad or used as an appetizer or sandwich spread in Mark Bittman’s Pea Dip. There are just so many different ways to enjoy them. However you enjoy them in very short order there are going to be lots of delicious, fresh, new peas at farmer’s markets and groceries near you; perhaps even in your own garden. Enjoy them, savor them, let me know what your favorite recipes are. According to a news article I read recently superfoods are trending down. Not all superfoods, just the ones that have been the media darlings, acai, goji berries and the like. I actually like this trend because as I wrote previously (back in 2008 I might add) we don’t need to import superfoods. We would do better to utilize those that are readily available. It’s more sustainable, eco-friendly, and also easier on your wallet. So what are these superfoods that we should be more aware of (and eat more often)? Berries- with lots of fiber and antioxidants they’re great and easy to add to the diet in cereal, yogurt, salads, plain, anytime. Eggs – high in protein (1 egg provides 6 g) with lutein and zeaxanthin (good for your eyes) they’re versatile and satisfying. Nuts – raw, unsalted are the best. Providing monosaturated fats they are a great heart-healthy choice. Add them to foods such as cereals or baked good or take some along for a healthy nutrition boosting snack. Broccoli – yes, it is a super food. With an amazing nutritional punch it provides not only fiber and a wide range of vitamins, but it also has sulforaphane which is a potent cancer fighting detoxifier. 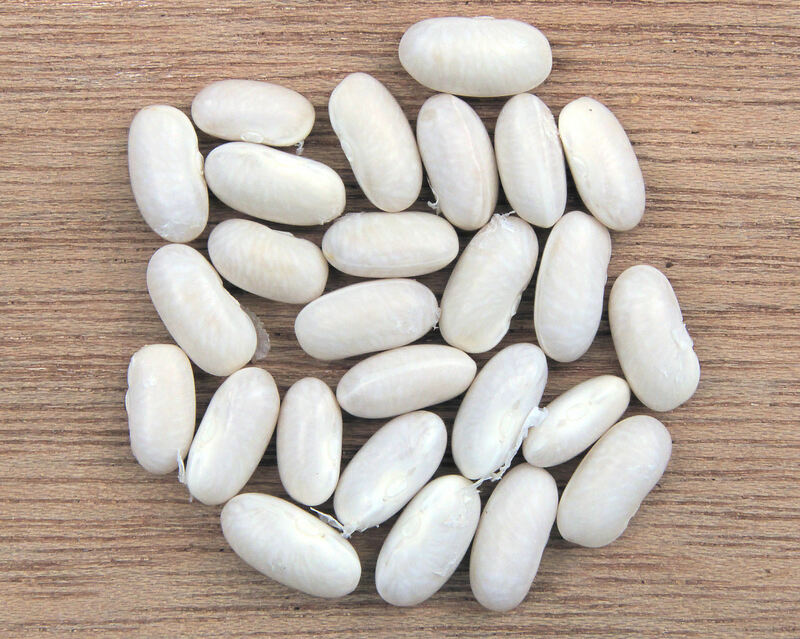 Beans – with a hefty dose of fiber and iron beans are just an all around good for you food. Soups, stews, and dips are a great way to add them to your meals. Beta-carotenes – okay so this isn’t a food but rather a group of foods. Found in orange foods (think sweet potatoes, winter squashes, carrots, etc) and dark leafy greens (the chlorophyll hides the color) like kale, spinach, collards and more betacarotene is a powerful antioxidant that support immune system health, reproductive health, and it’s very good for your eyes. So while imported superfoods may be trending down I’m rooting for an overall upward trend in the concept of super foods. My friend Alexandra shared this fabulous recipe with me and is letting me share it with all of you. 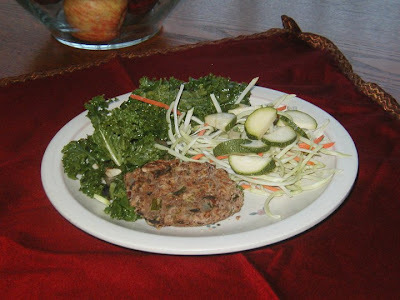 I love bean burgers but confess that sometimes I get tired of the same recipe over and over again. I also usually make lentil or black bean burgers. This recipe sparked my interest because it was a different kind of bean and the addition of shitake mushrooms. Mushrooms can be a very wonderful food to add to your diet. Asian cultures promote the use of mushrooms for the medicinal values, they do have healthy properties, and they are very tasty. 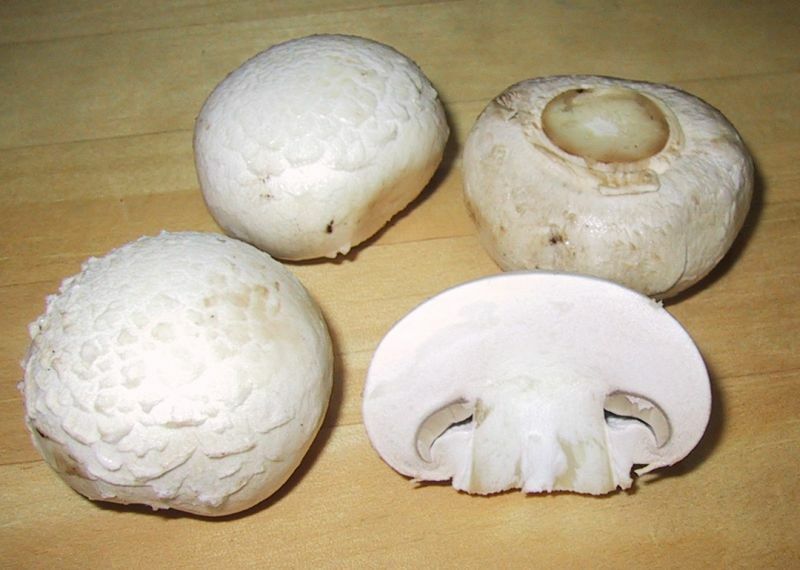 Shitake mushrooms in particular have something called lentian in them, a substance that helps to boost the immune system, and studies indicate that it has anti-cancer properties. Shitake mushrooms are also a good source of iron, vitamin C, and fiber as well as providing some protein. Here’s Alexandra’s recipe, let us know what you paired it with. These are great topped with avocado and a side of greens. I love bean sprouts. They’re delicious and a great source of nutrition. Just the act of sprouting beans increases their nutrition. It also makes their nutrients more bio-available because the first step, soaking, removes phytic acids which interfere with nutrient absorption. A while back my friend Jen asked me how to make them. She had been interested in doing it but was afraid it was too difficult. She wanted pictures to show her how it was done. I promised that the next time I made bean sprouts I would take pictures and share the process. This is a batch of lentil, adzuki, mung bean sprouts. You can use any beans you like depending on what you have handy in your pantry. I almost always have mung beans and lentils so I use those a lot. The other beans vary. I usually make a bean sprout mix with anywhere from three to five different kinds of beans. Start by putting a small handful of each of the different beans into a colander and picking them over. Dry beans frequently have small rocks, little clumps of dirt or other debris in the package, it’s important to sort through them before you use them. After picking them over, rinse the beans well. Put them into a bowl and cover them with water. The next morning take your beans out of the oven and drain them. Rinse them well and put them back in the oven. The next day rinse and drain your beans and put them back in the oven. On day two or three you will notice that your beans have little white sprout tails. On day three or four you will notice that lots of beans have sprouted and they are ready to eat. causes them to sprout faster so in my house it’s usually three days. Once you have your sprouts ready to eat it’s best to store them in the fridge. What can you do with them? I put mine into salads, stir fry, curry, smoothies (just a tiny bit for a protein boost), I also eat them raw as a snack. They’re absolutely fabulous.